We’ve all had that feeling of being watched, but what if you are actually being watched – through your webcam? We take a look at the recent influx of ratting attacks and find out how you can protect yourself. 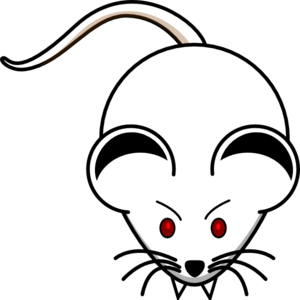 Ratting is the process of infecting a computer with a ‘RAT’ (remote access trojan). This trojan gives the hacker COMPLETE control over the infected machine – including access to files, microphones and web cams (and the ability to turn them on and off, even without the light or giving any signal of the camera being activated). The rat infects the computer by hiding within a seemingly harmless file extension. For example, an image sent in a web chat where, hidden within the code of the file, is the remote access trojan (RAT). RATs have also been found hiding in the code of tools aimed at younger people such as ‘find who views your Facebook profile’ tools. Why is it a growing threat? Ratting has been around a long time, Microsoft first raised it as a concern back in 2002 but recently the threat has seen quite the growth spurt. Back in 2002 webcams were the toys of the real computer boffins, whereas now almost every laptop or tablet computer that we purchase has a webcam built in. As ratting enables complete control over every aspect of the infected device, these webcams have become a window for the hackers to peep through. Focusing on the webcam aspect of the threat; imagine a CEO having a laptop that is taken everywhere with them – into the boardroom, in their home, on their travels. Ratting could hand hackers – or their competitors, rivals, etc – a view into everywhere the laptop is taken through the web cam and microphone. This effectively hands the hackers access to company secrets, information about the CEO’s private life and images of anything that the laptop can see. The same applies to government computers – imagine a peek into the goings-on of Downing Street or the White House through a senior official’s laptop! How do you protect against it? Do not download executables from unknown resources.